Master the essential skills, take the court with confidence, and ace the competition! 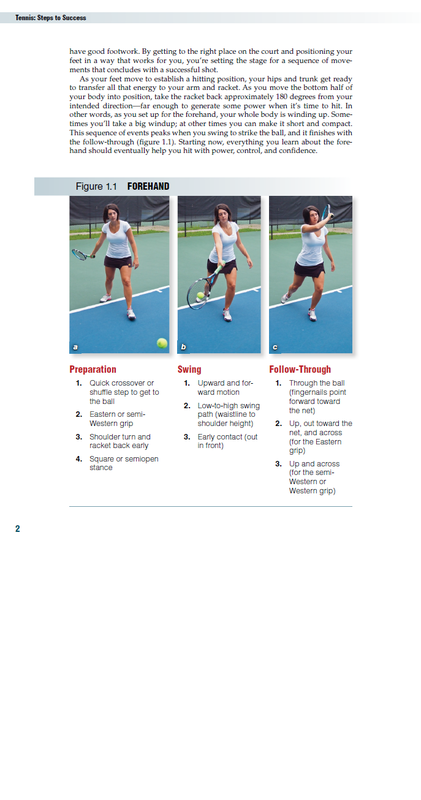 Tennis: Steps to Success provides in-depth, progressive instruction and accompanying full-color photos for each stroke. 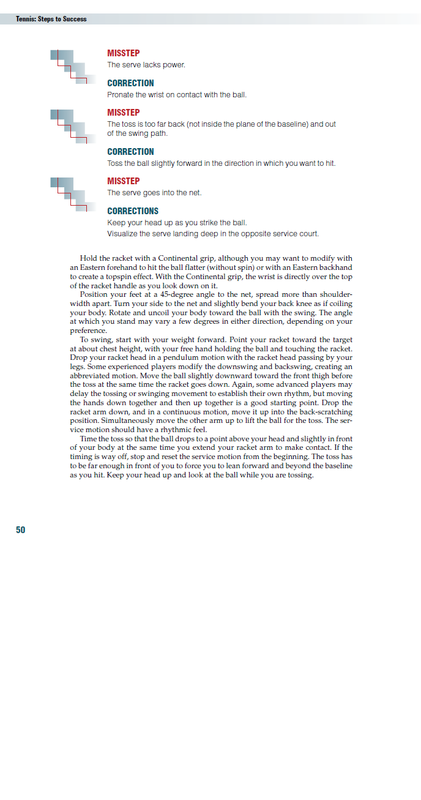 From forehand to backhand, serve to volley, this popular guide has you covered. Practice and improve those techniques with more than 80 drills that feature a unique scoring system to gauge and accelerate your progress. After mastering the skills, add tactical knowledge to make the right shots in match situations and achieve on-the-court success. You’ll learn how to neutralize your opponent’s strengths, recognize weaknesses, force errors, and capitalize on every opportunity. 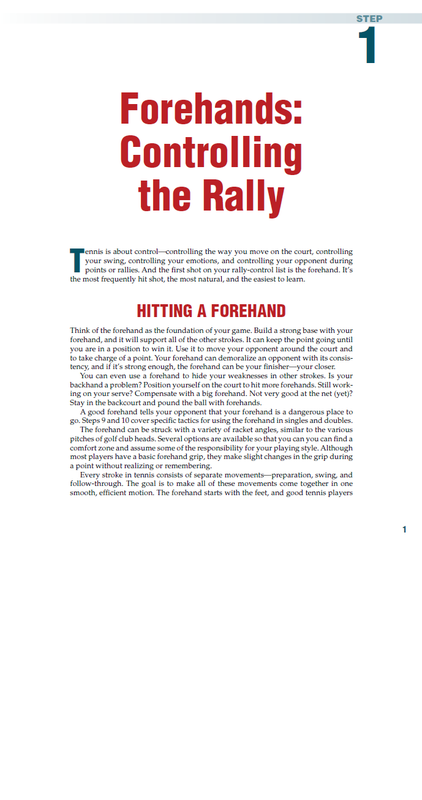 Whether playing singles or doubles, you’ll have the skills, strategies, and confidence to ace the competition. Become the player you always wanted to be. As part of the popular Steps to Success Series, which has sold more than 2 million copies worldwide, Tennis: Steps to Success will take your performance to new heights in all facets of the game. Jim Brown, PhD, has taught, coached, played, and written about tennis for over 40 years. He is the executive editor of the Steadman Philippon Research Institute News and a regular contributor to health publications of the Cleveland Clinic, Duke School of Medicine, and the David Geffen School of Medicine at UCLA. He has served as the editor of Tennis Industry magazine, Tennis Clinic, Georgia Tech Sports Medicine & Performance Newsletter, and Sports Performance Journal. Dr. Brown has written, coauthored, or edited 14 books and hundreds of articles on sports, sports medicine, health, and education. He has been published extensively online, having written columns for CBS Sportsline.com, USTA-Southern Section, CorePerformance.com, and WebMD. His work has appeared in such notable printed publications as Sports Illustrated for Women, Washington Post, Better Homes and Gardens, Raising Teens, and New York Post. During Dr. Brown’s teaching career, he served as a clinician for the United States Tennis Association; the American Alliance for Health, Physical Education, Recreation and Dance; and the President’s Council on Physical Fitness and Sports. Camille Soulier is a physical education instructor at Pearl River Community College and director of junior and adult tennis programs at the Kamper Park Tennis Complex in Hattiesburg, Mississippi. She has collaborated with Jim Brown on a variety of teaching, coaching, and writing projects and enjoyed a successful playing career at both the collegiate and USTA sectional and national levels. She currently holds numerous positions in the United States Tennis Association. Most recently, she served as the head coach for the PRCC men’s and women’s tennis team, where she was named the Region 23 Coach of the Year in 2000. Camille lives in Hattiesburg, Mississippi. "By breaking down every aspect of the game, Jim Brown and Camille Soulier help players at all levels master the sport and elevate their game." 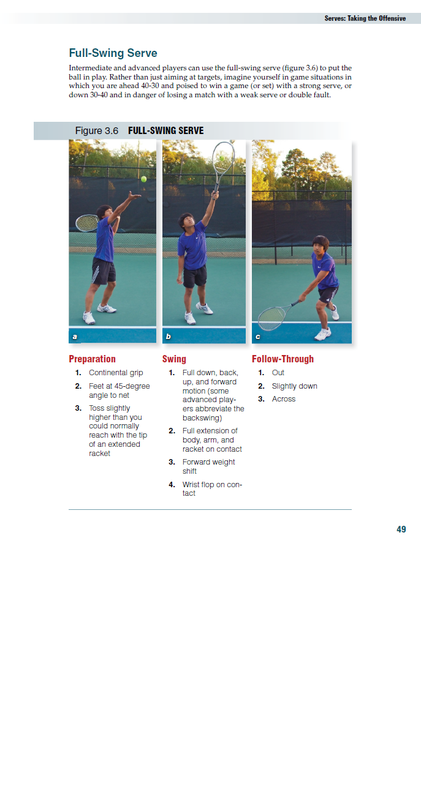 All ancillary materials for this text are FREE to course adopters and available at www.HumanKinetics.com/TennisStepsToSuccess.